The project Cephs & Chefs was presented during the closing session of the 10th edition of Octopus Gastronomic Fortnight in Lourinhã (Portugal). This participation was disseminated on the website of the Town Hall of Lourinhã. Cristina Pita has been interviewed by a national radio Antena 1 to disseminate the project. 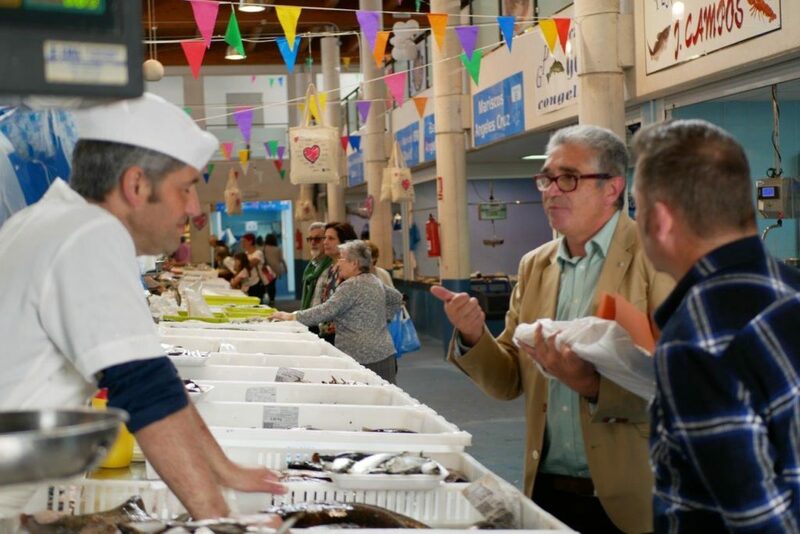 Funded by the EU Atlantic Area programme, Cephs & Chefs aims to promote sharing expertise concerning cephalopod species – octopus and calamari – and cuttlefish caught in UK waters and consumed in Spain and Portugal. 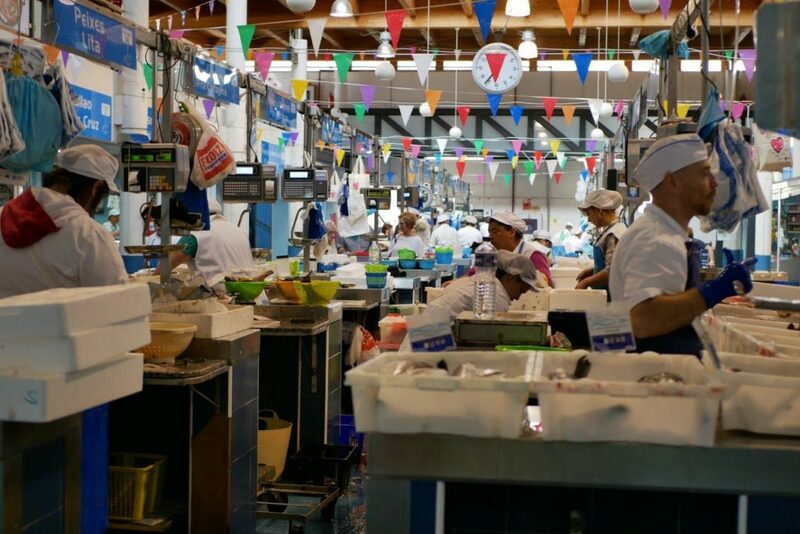 In this month of May the preparation of the recording of the videos of the CEPHS & CHEFS project framed in the work package 6 on Market Opportunities began, in which a task is developed on Chef’s marketing directed to the cooks of the north of Europe . 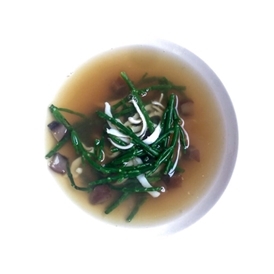 This task aims to develop a series of training materials in preparation and cooking of cephalopods for beginner chefs in the use of the target species of the project: octopus, squid and cuttlefish. It has been decided to make videos about the preparation (cleaning and cutting) of each type of product, and others of traditional cooking in Spain / Portugal for each of the species. Afterwards videos of new recipes or innovative recipes will be recorded. The preparation videos will be recorded in the Plaza de Bueu, with a large quantity and quality of cephalopods. For this purpose, the plaza, the surroundings and the fishmonger who will be part of the recording equipment have been contacted. After the definition of the places of recording, the plans of execution and the elaboration of the first scripts, in June the images will be taken for the first videos about cleaning and cutting octopus, squid and choco. 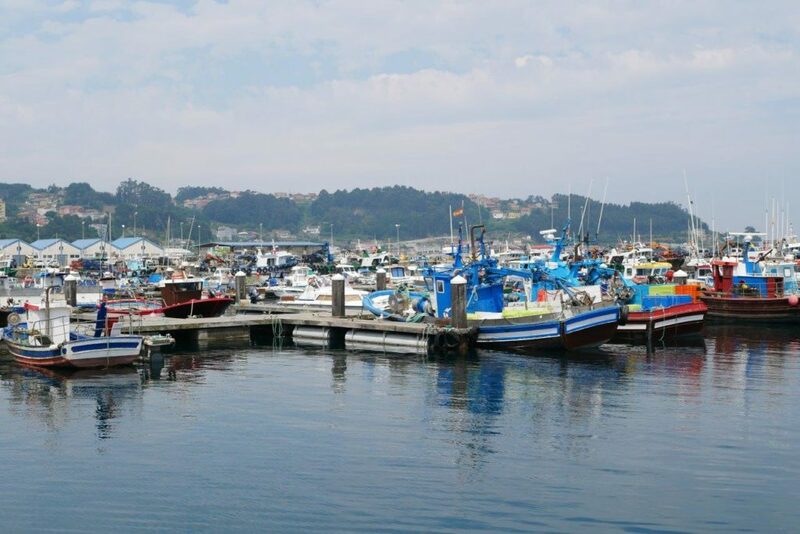 The CEPHS & CHEFS project is funded by the European aid call “Atlantic Area (2017-2020)”, and aims to transfer knowledge related to fishing and consumption of cephalopods from southern countries of the Atlantic area with great gastronomic tradition of cephalopods such as Spain and Portugal, to the countries of the north of the area, where these species are barely consumed but they are captured, such as France, the United Kingdom and Ireland. 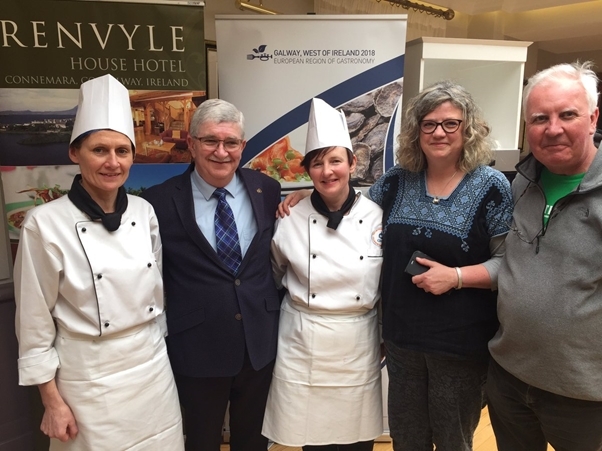 A cephalopod cookery demonstration was presented by Sadie Davoren and Anne O’Leary on Thursday, 12th April 2018, as part of the Bay Coast Wild Atlantic Way Food Festival. 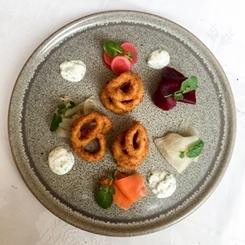 The demonstration was hosted by Ronnie Counihan in the Renvyle House Hotel, in conjunction with Galway’s celebration as European Region of Gastronomy 2018. Elaine Donohue the Programme Co-ordinator for the Galway-West of Ireland designation highlighted how the demonstration reflected two of the themes of the bid book namely Education/ Health and Sustainability and Feeding of the Planet. The European Region of Gastronomy Platform works closely with education and knowledge institutions in the host regions and elsewhere to disseminate information about the importance of regional gastronomy in education. Similarly, the Platform aims to support smart strategies for sustainable and ethical tourism, as well as food and gastronomy practices with the aim to develop more environmentally, socially, culturally and economically sustainable food production and consumption. A selection of octopus and squid dishes were cooked and served. The central theme of the day was to introduce the audience to preparation and cooking of the fish. Emphasis was placed on the correct cooking method and times for each fish. John and Sally Mc Kenna of Mc Kenna Guide https://www.guides.ie/who were in attendance and commended all aspects of the demonstration on social media. Both food writers supported the research proposed saying that “it was five years ahead of its time”, “We all need to eat Cephalopods”. John also endorsed our work at the after-dinner speech that night and spoke highly of G.M.I.T.s involvement with research and children’s education. 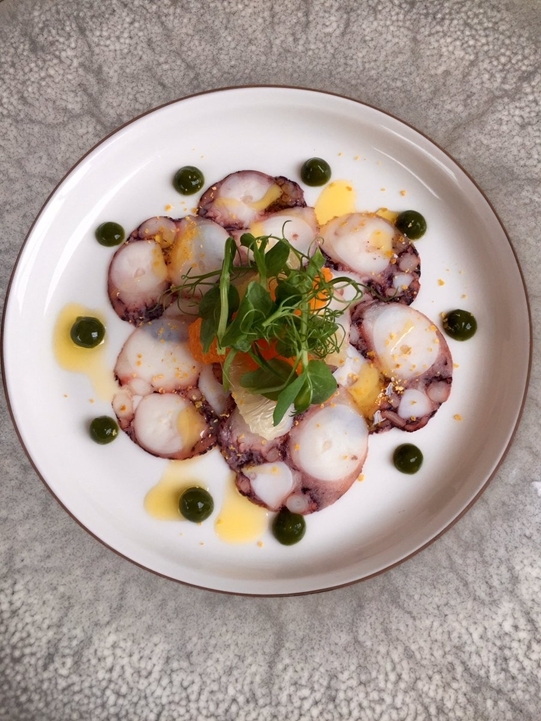 Octopus Carpaccio with dehydrated lemon Citrus Salad and Watercress Gel. 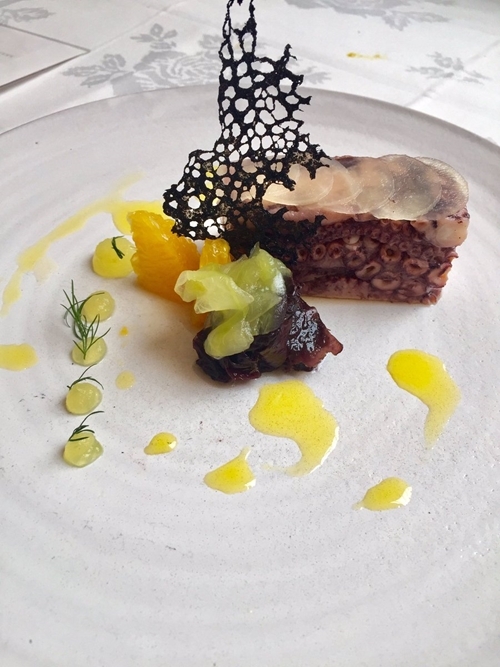 Octopus Terrine with Pickled Dillisk and Cucumber, Squid Ink crisp. 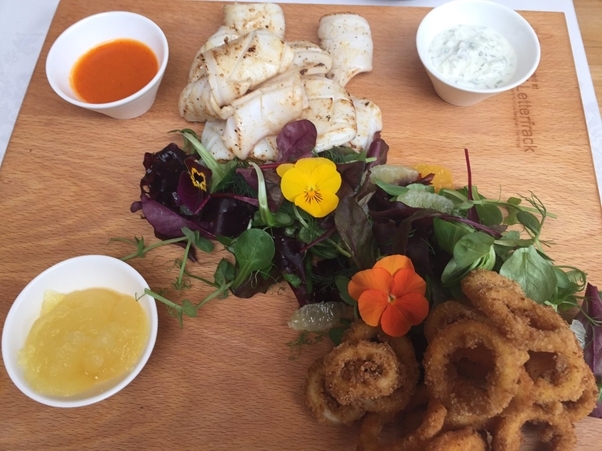 Seafood sharing plate: Pretzel coated squid, Pan-fried squid, Chilli Dressing, Lemon gel and Tzatziki dressing. Where is the octopus from? If there is a wide angle to visualize the maritime part of planet Earth, we would realize that all the seas and oceans are part of a single great sea to which the octopi that the sailors capture belong to sell to the highest bidder. A group of fishermen managed to catch a large cephalopod on a Philippine island. To move it, the strength of several people was needed. This is the third time that an animal with these characteristics has been caught. Why is the price of octopus so high? Bad times for octopus lovers: a combination of factors is causing the price to have climbed dramatically during the last year.